In the opinion of former Director of the CIA, John Brennan, he still has a valid security clearance. If there is something that the Trump administration has overlooked, what could it possibly be? Maybe he is concerned that he did not get written notice or was denied due process. The President, as Commander-in-Chief has many administrative powers that can be administered of his own volition. Maybe Mr. Brennan is hoping that maybe he can find a Federal judge to rule against the President. He better be careful what he wishes for. Read the options for Brennan in this article. It would be extremely Trump-y if White House deputies ignored POTUS’s order to cancel Brennan’s clearance and just told him that it had been canceled. How would he know unless Brennan himself took to boasting about it on TV? Which reminds me: Here’s Brennan boasting on TV that he has no reason to believe his clearance has been canceled, as he’s received no formal notification of it. Watch, then read on. Hallie Jackson wonders in the clip if the White House might be “walking it back,” rescinding the revocation because of the heat Trump’s taken for his decision. Uh, no. Trump would never allow himself to lose face by un-settling a score with a bitter enemy like Brennan under political pressure. He *can* be made to yield and play nice with people he hates when the stakes are low but revoking the clearance of a former director of the CIA because he’s loudly anti-Trump isn’t low stakes. And it’s not unpopular! 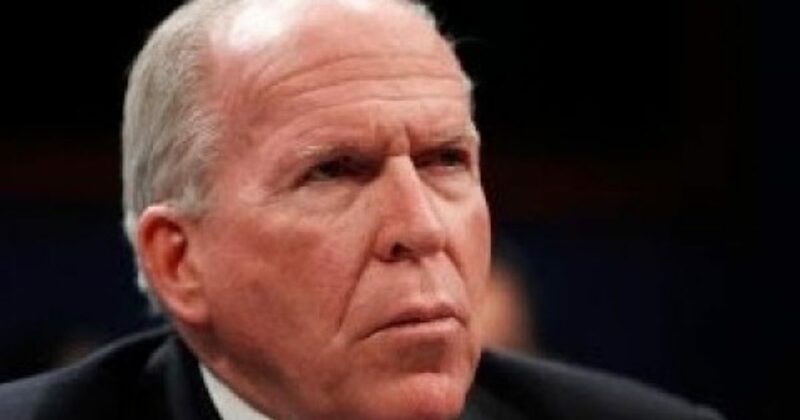 Brennan claims at one point in passing that “I think everybody believes that the rationale for stripping me of my clearance…….